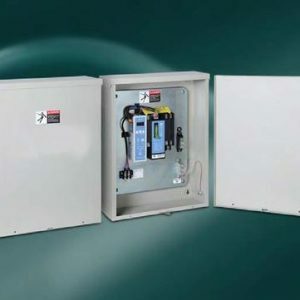 Mcpherson Controls’ 125A & 150A modularized design Basio Transfer Switch, Complete Automatic Transfer Switch with enclosure, and Manuel Transfer Switch. Ideal for residential power systems, with rated current of 125A-150A and rated voltage 110 VAC or 220 VAC single or three phase to choose from, it is electrically of manually operated and all parts are made with UL 94V-0 plastic for highest safety standards. Mcpherson Controls ATS2PC0125 is a modularized design ATS Automatic Transfer Switch with enclosure. Ideal for residential power systems, with rated current of 125A and rated voltage 110 VAC or 220 VAC single phase to choose from, it is electrically of manually operated and all parts are made with UL 94V-0 plastic for highest safety standards. Please Call for Purchasing. McPherson Controls TCS2P150 is modularized design Automatic Transfer Switch, also known as ATS. With rated current of 150Amp and rated voltage of 110 VAC or 220 VAC single phase. It is electrically and manually operated. This Automatic Transfer Switch is ideal for household and telecommunication cell site use. All plastic parts used on the ATS are made with UL 94V-0 plastic to comply with the highest safety standards. Non-UL Listed Export Only, Please Call for Purchasing. The ATS3PC0125 is a brand new modularized PC type ATS Automatic Transfer Switch with enclosure. Ideal for household power systems and telecommunication cell site, with rated current of 125A and rated voltage 110 VAC or 220 VAC single phase to choose from, it can be electrically and manually operated and all parts are made with UL 94V-0 plastic for highest safety standards. The TCS2P125 new modularized design Automatic Transfer Switch, also known as ATS. With rated current of 125A and rated voltage of 110 VAC or 220 VAC single phase. It is electrically and manually operated. This Automatic Transfer Switch is ideal for household and telecommunication cell site use. All plastic parts used on the ATS are made with UL 94V-0 plastic to comply with the highest safety standards. The TCS3P125 is a brand new modularized design Automatic Transfer Switch, also known as ATS. With rated current of 125A and rated voltage of 110 VAC or 220 VAC or 3 phase to choose from. It is electrically and manually operated. This Automatic Transfer Switch is ideal for household and telecommunication cell site use. All plastic parts used on the ATS are made with UL 94V-0 plastic to comply with the highest safety standards.